Pricing for the Lexus ES 350 starts at $39,500 with the F Sport bumping up to $44,035. 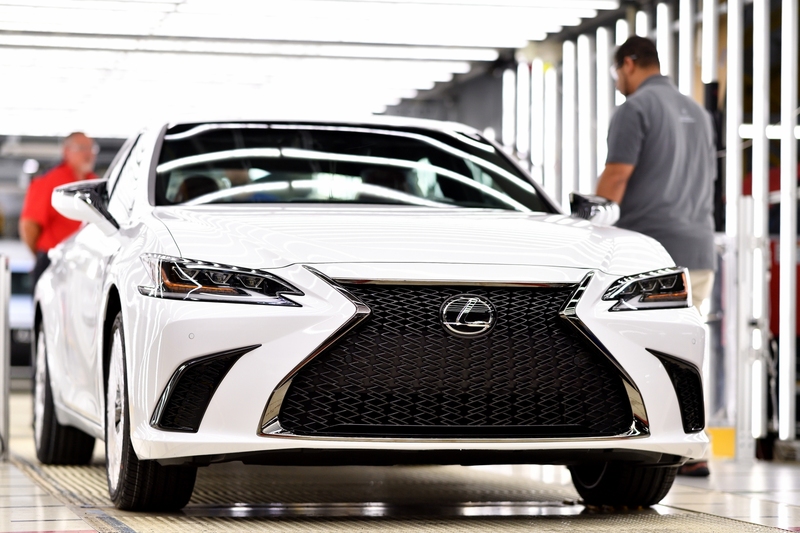 The first of the next-generation 2019 Lexus ES 350 mid-size sedans recently rolled off the assembly line in Georgetown, Kentucky. 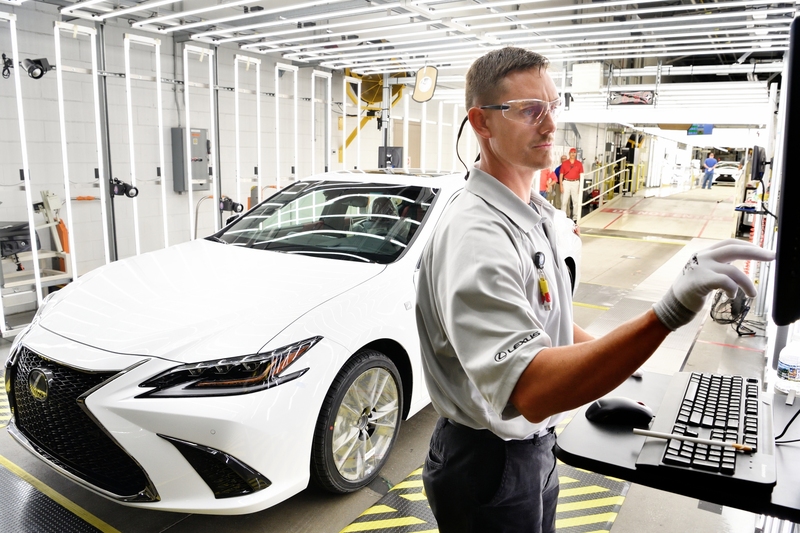 Lexus personnel at the brand's U.S. facility were given more than 150,000 hours of training to build the ES model, which included sensory training that teaches assemblers to feel for an abnormality as minute as a thread of hair and so on and so forth. 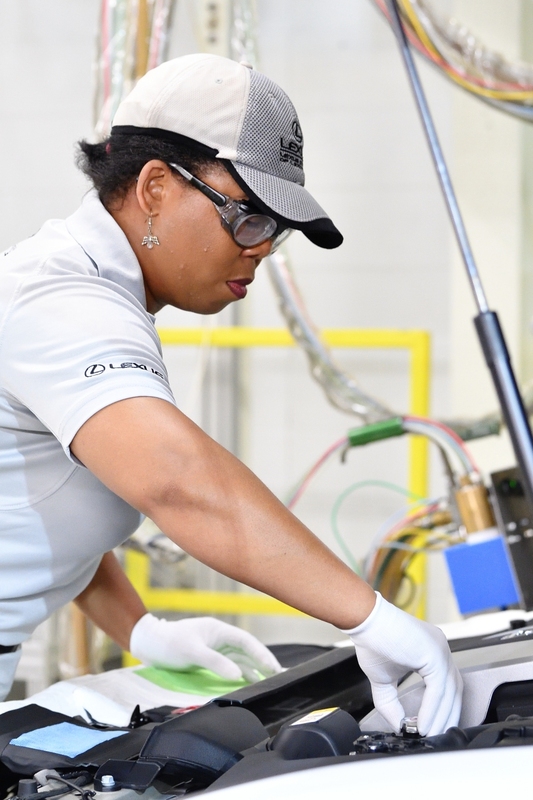 Production of the Lexus ES commenced in Kentucky in 2015, after more than $360 million was invested in a new production facility on the Toyota Kentucky campus. In addition to the ES 350, the 800-strong Lexus staff will now also build the all-new F Sport model. Back in 2016, after only a year of production, the Lexus production line received the Platinum award—along with Toyota’s Kyushu 2 plant in Japan—in the J.D. Power & Associates’ Initial Quality Study, reflecting the Japanese car manufacturer's dedication towards delivering quality. Susan Elkington, president of Toyota Motor Manufacturing, Kentucky, Inc., (TMMK) said, “We’ve implemented the all-new Lexus Global Architecture platform.” She added, “The new platform allows Kentucky team members to build a car that is longer, lower and wider than before with wheels pushed closer to the corners." The 2019 Lexus ES 350 will be in showrooms by September. As for pricing, the Lexus ES 350 starts at $39,500 and the F Sport at $44,035. Lexus is also celebrating 10 years of 'F' with this supercar masterpiece.